What's your screen name on the MTP forum? is there a decline from up here now? and a decline there was ! 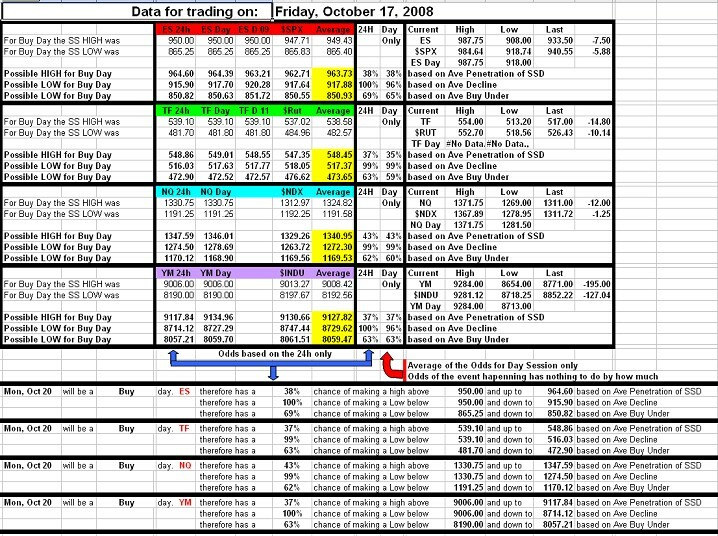 Like I mentioned to GIO before since we had a failed 3 day rally yesterday and we failed by 24 points on ES, it did make sense that the market would try to recoup this loss and therefore that loss was added back to the projected numbers to balance the markets. Today was a Buy day and the lows came in at the projected area at the open. 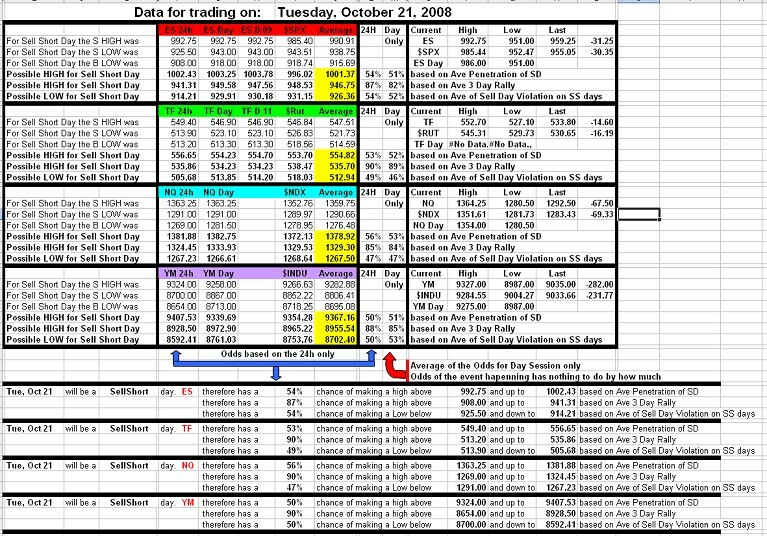 We then manage a full rally and even exceeded the projected tops. You will notice that for instance ES which had a failed 3 day rally yesterday of 24 points exceeded the projected high by 23 points. As in most failed 3 day rally we do tend to recoup the difference in the next few days. 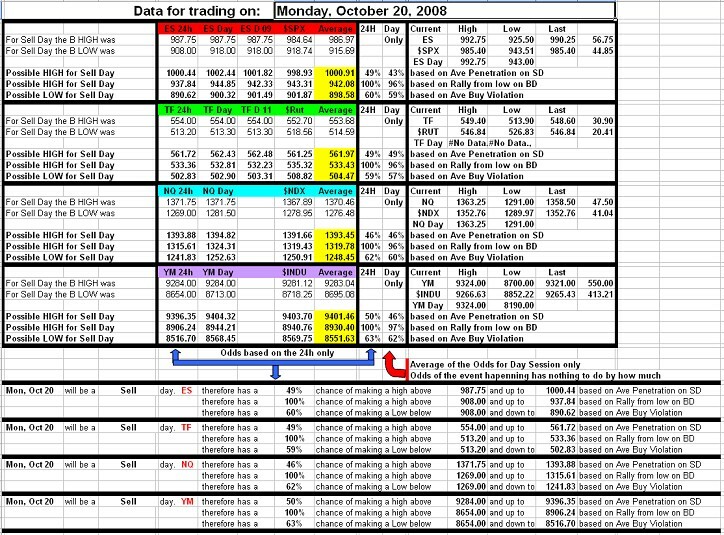 Today was a Sell day and we had a good rally and closed within shooting distance of the maximum projected highs.